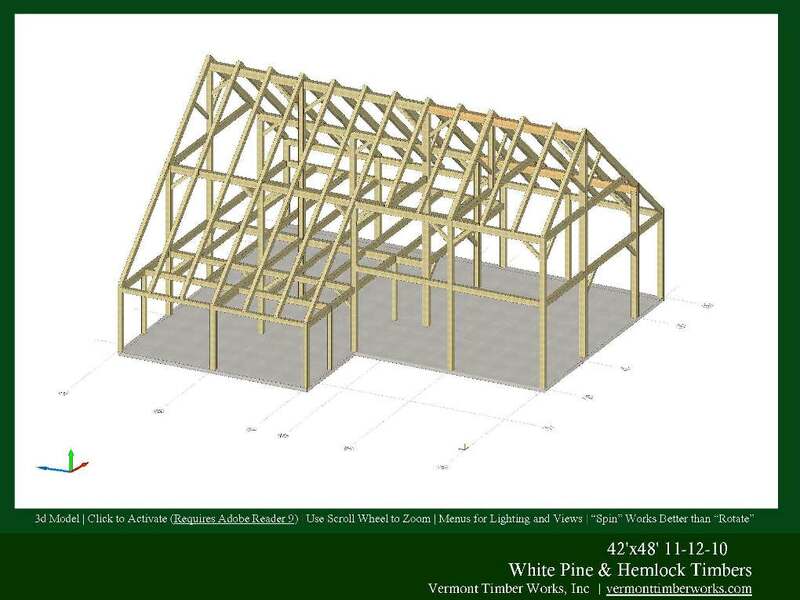 We use state of the art 3D computer generated design technology that allows us and our clients to see their frame from every angle during the design process. View our timber frame barn plans, elevations and perspectives. 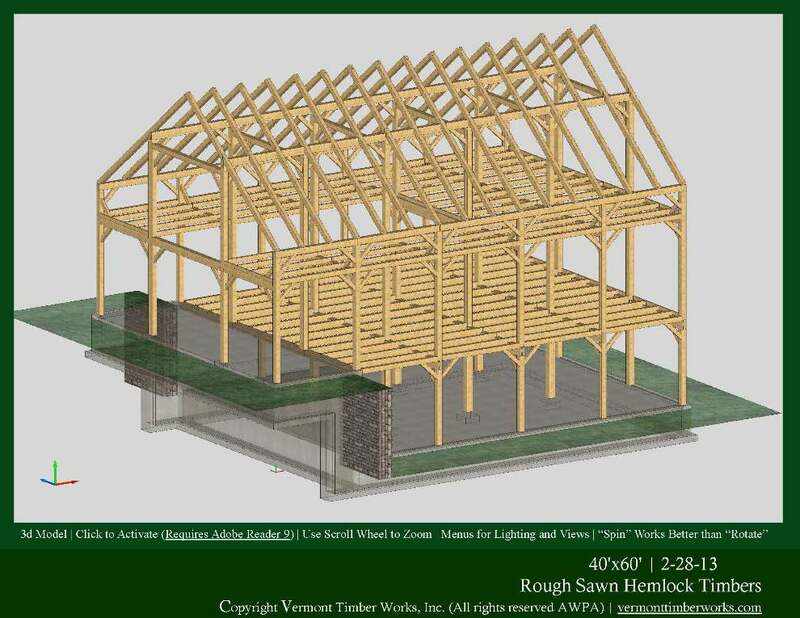 Below, are 3d renderings of barn frames that range from small to large and simple to complex. 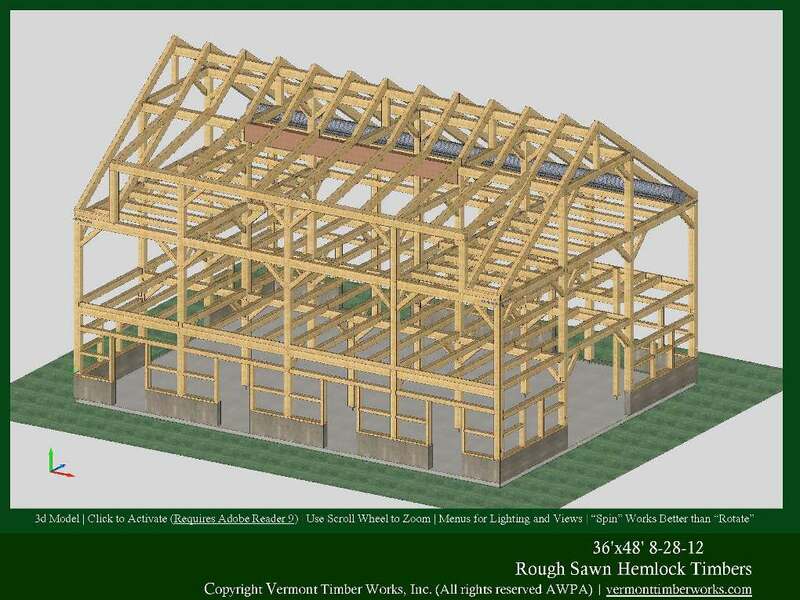 This is a two story barn design with a shed addition that features traditional joinery and rough sawn hemlock timber. 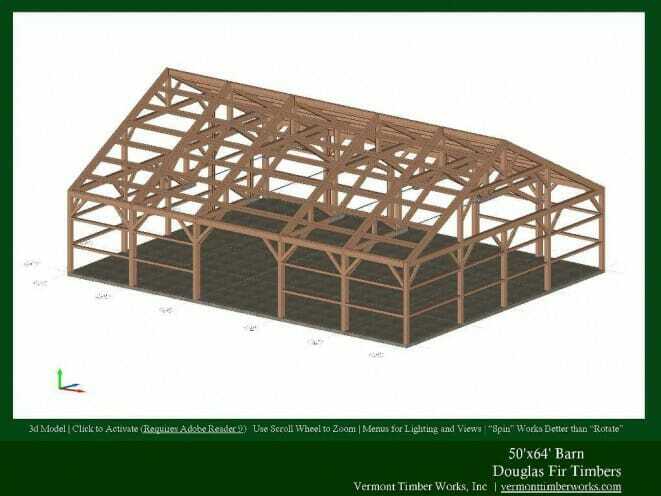 This is a large barn frame design that features a high ceiling interior as well as a loft. The frame was designed to be constructed using rough sawn hemlock timbers and traditional joinery. 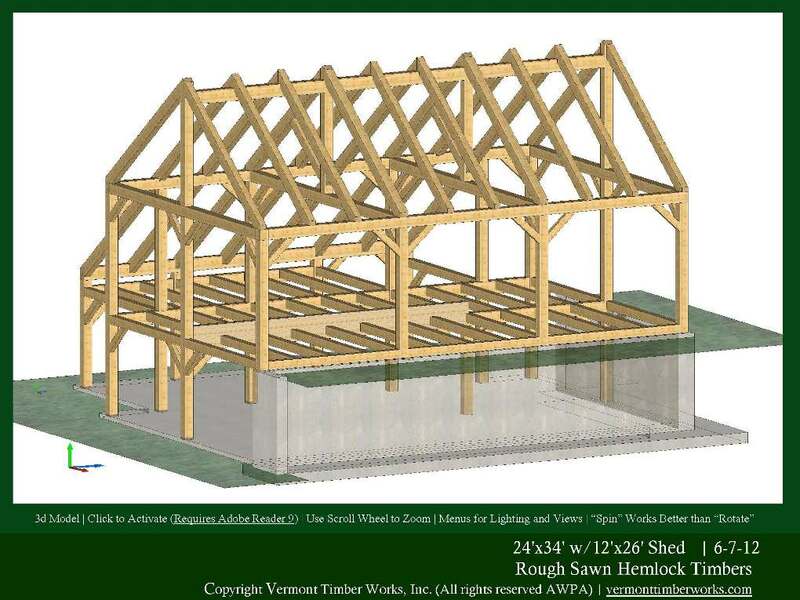 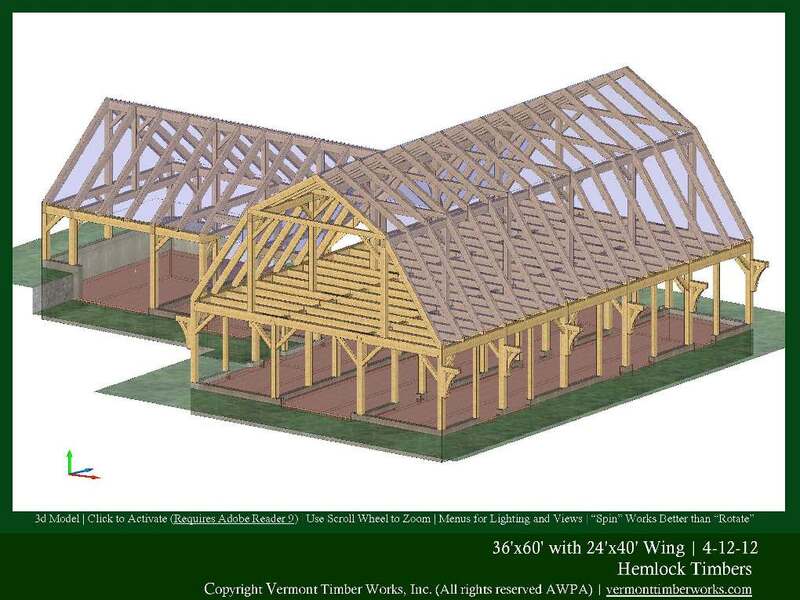 This unique two story barn frame design features traditionally joined hemlock timbers and beautiful open trusses. 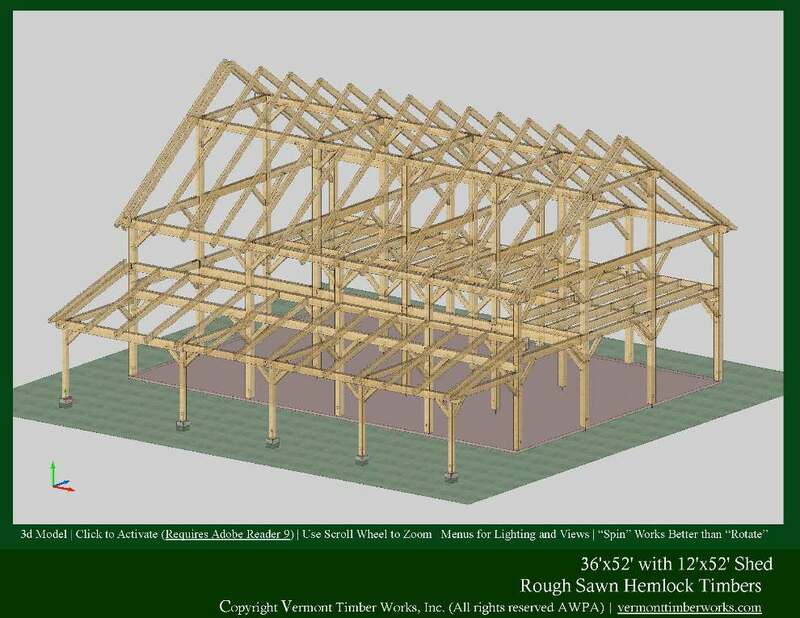 A barn frame designed with principle purlins, common rafters, and a cupola all constructed using hemlock timber and traditional joinery. This classic barn frame is designed to be constructed with rough hemlock timbers and traditional joinery. 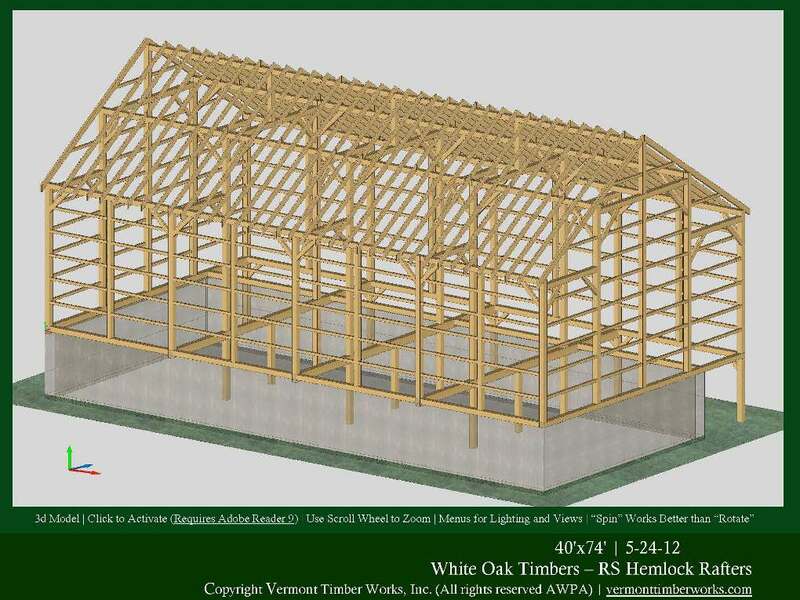 It features common rafters and a 14’x64′ shed addition. 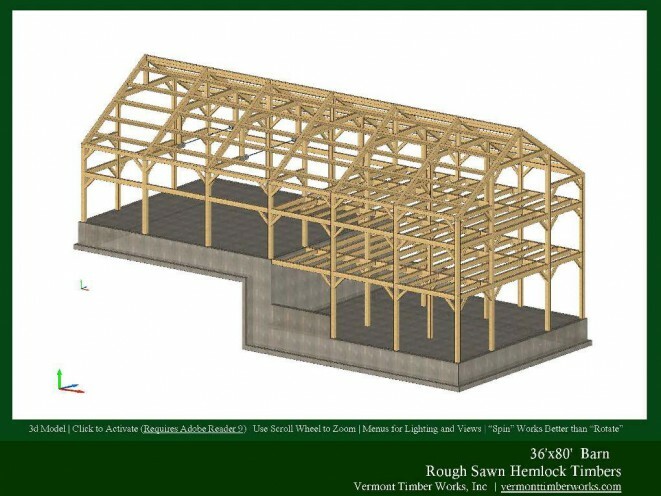 This barn was designed to have space for horse stables, storage, and a hay loft. Like many of our other barn designs, it features rough sawn hemlock timber and traditional joinery. 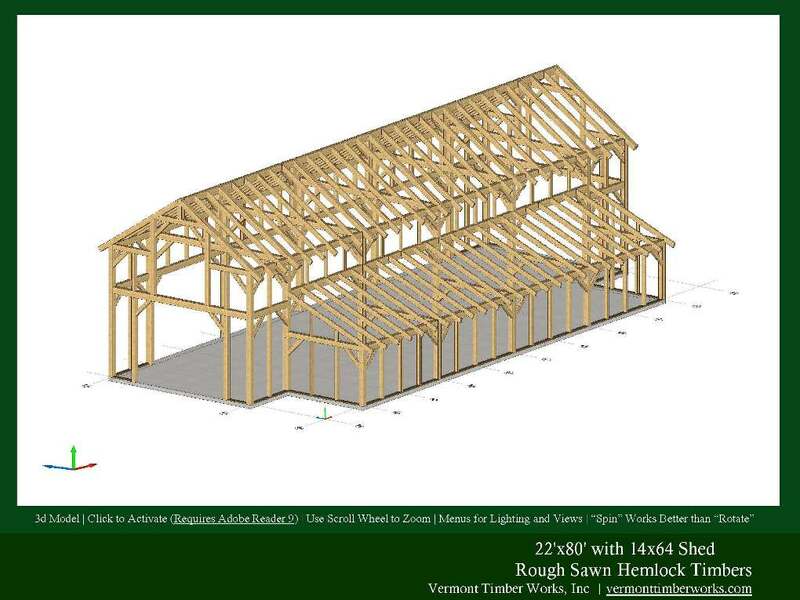 To view the completed project visit our Weidie Horse Barn page. 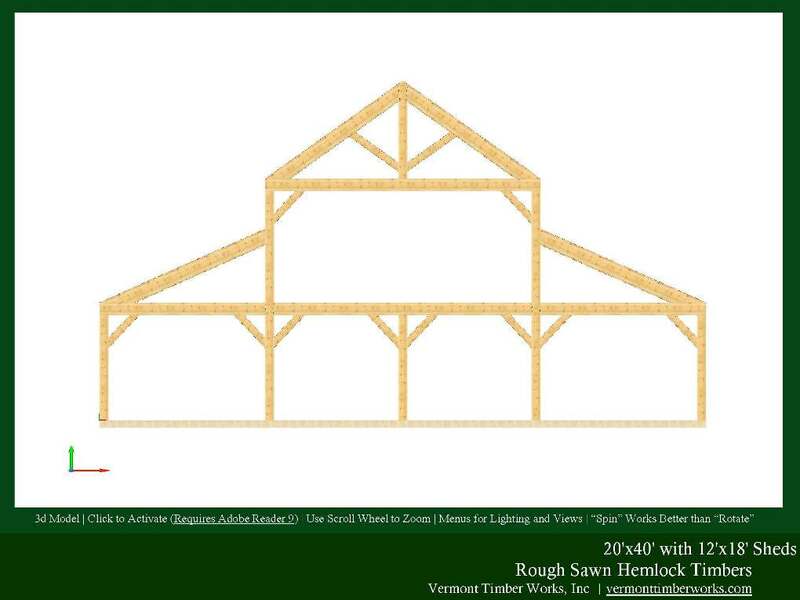 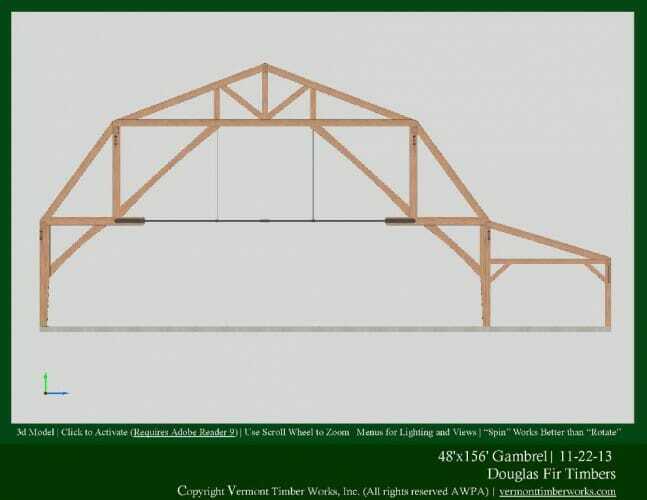 This is a gambrel barn frame design with 24’x40′ wing. 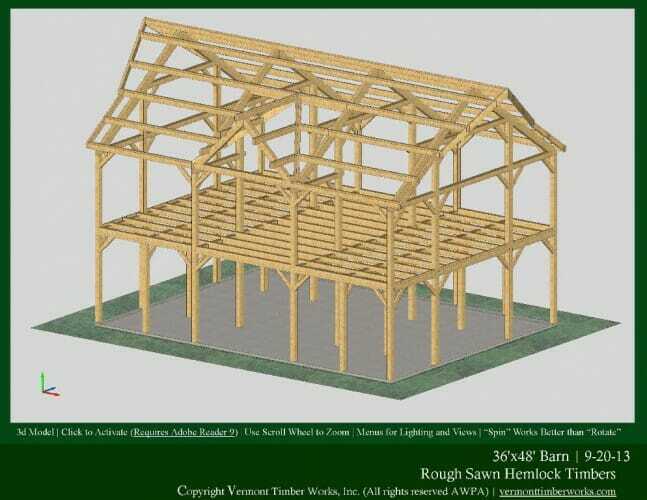 The frame is designed to be constructed with hemlock timbers and traditional joinery. This is a 3 story barn design with a cupola. The frame is to be constructed using douglas fir timber and features both common rafters and principle purlins. 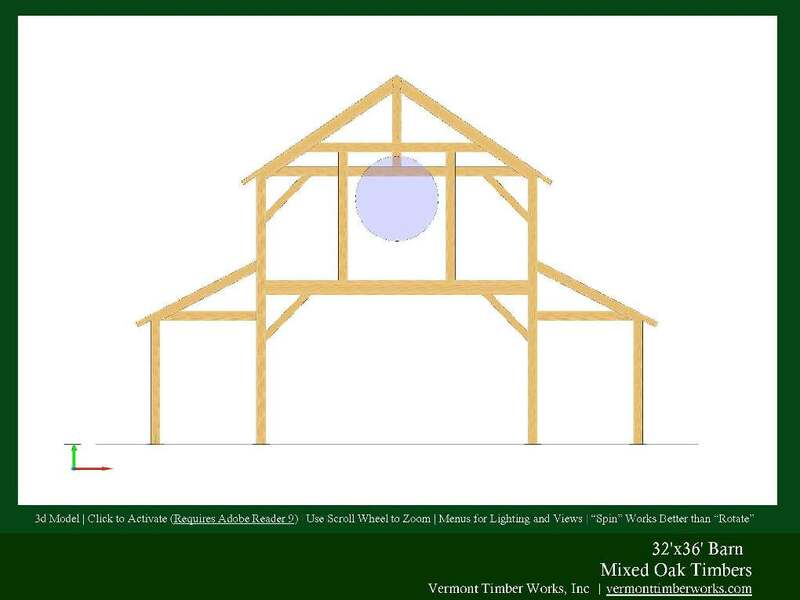 This is a salt box barn frame design with king post trusses. 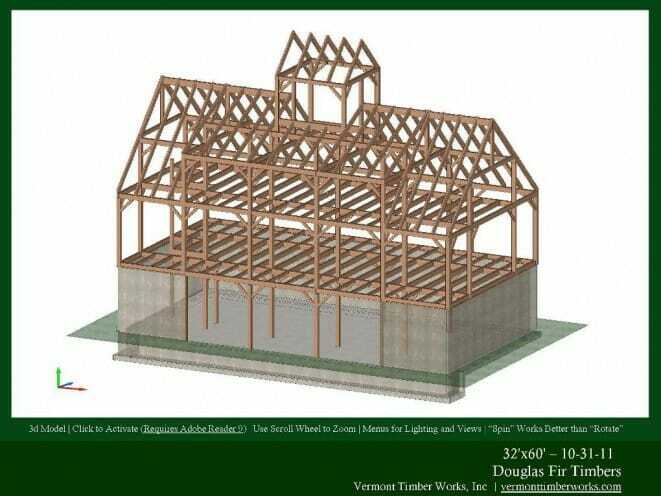 It features douglas fir timber, purlins, and traditional joinery. This is a 3 story barn frame design with a dormer. It features rough sawn hemlock timber and traditional joinery. This design features a shed addition that is secured with post bases. 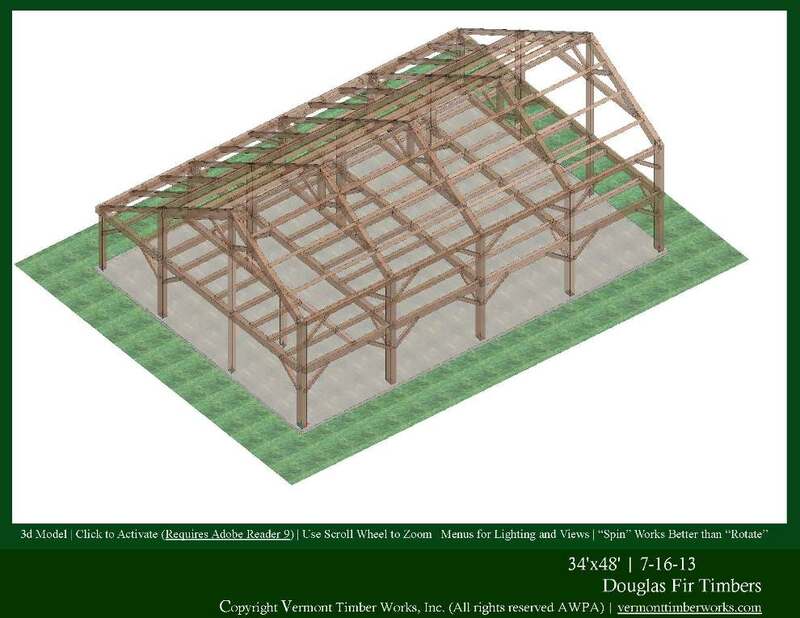 This frame was designed to be constructed with douglas fir timbers and traditional joinery. It features both common rafters and principle purlins. 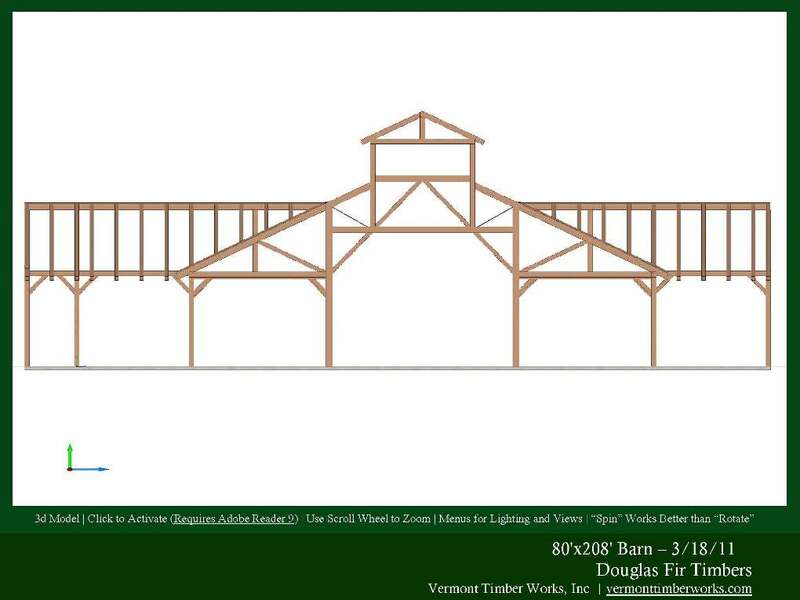 This is a 36’x80′ barn frame design with two main floors and two lofted floors. 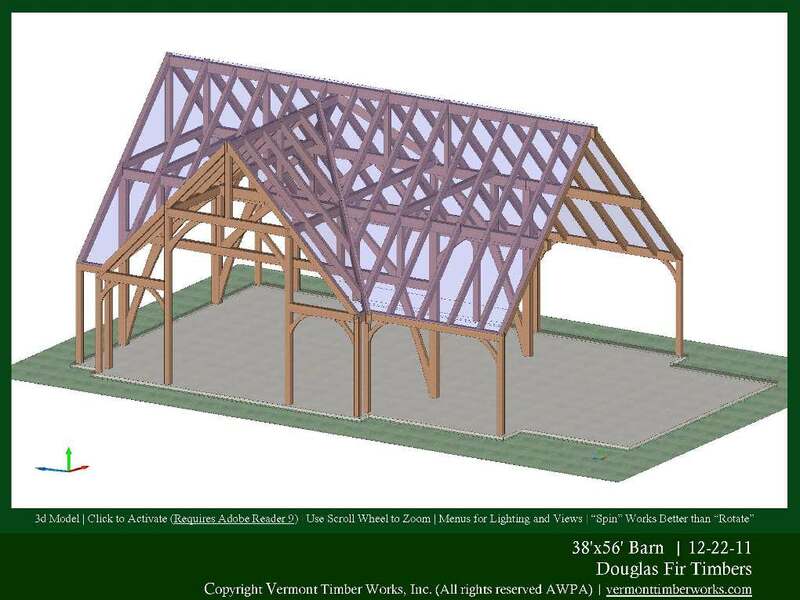 This is a 60’x160′ timber frame gambrel barn design with a stone fireplace. 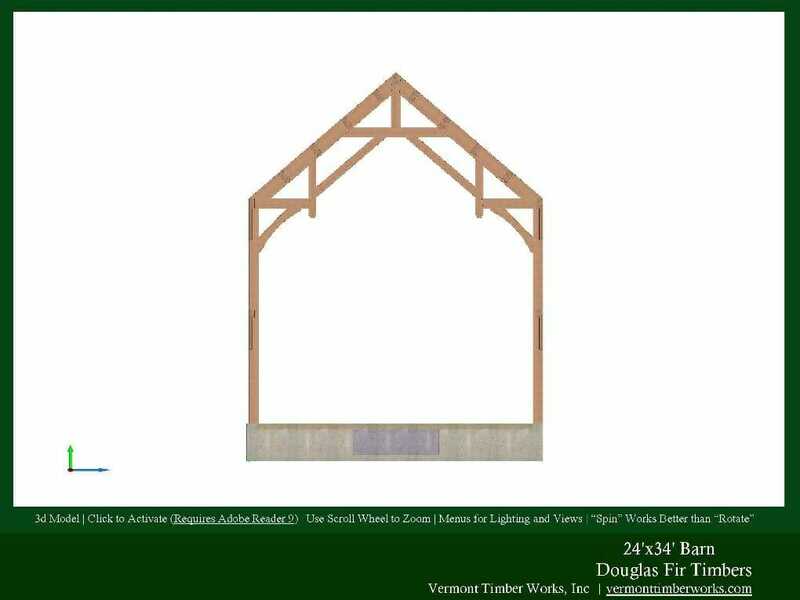 This 40’x74′ barn frame was constructed using white oak timbers for the the trusses, posts, joists, and braces, and RS Hemlock for the rafters. This is a two story barn frame that features a cupola and is designed to be constructed with douglas fir timbers. 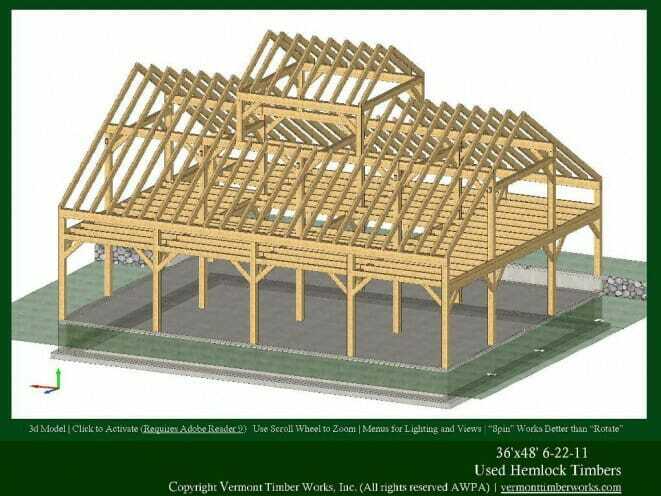 This is an L shaped timber frame barn designed to be constructed with both white pine and hemlock timbers. This barn was designed using hammer beam trusses and douglas fir timbers. The design includes purlins, nailers, and traditional joinery. 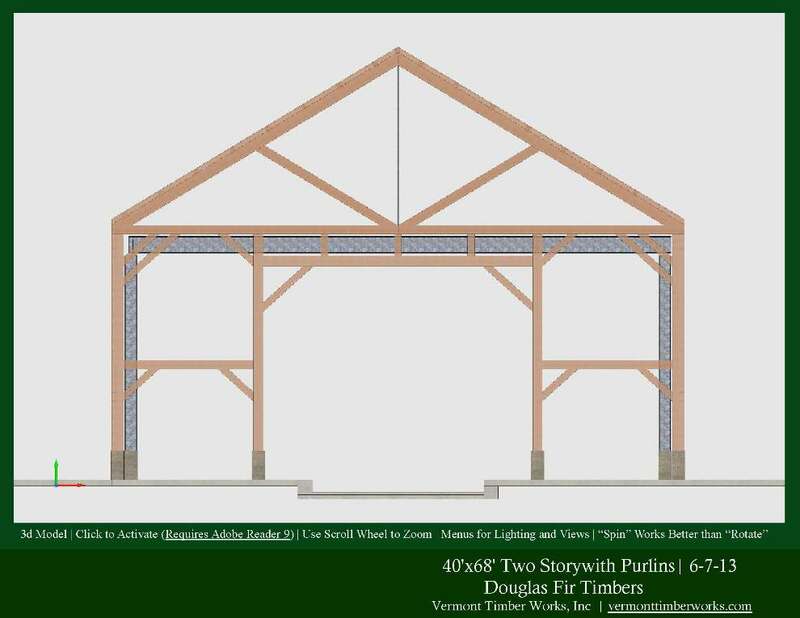 This is a unique truss design for a two story barn that was constructed using douglas fir timber. 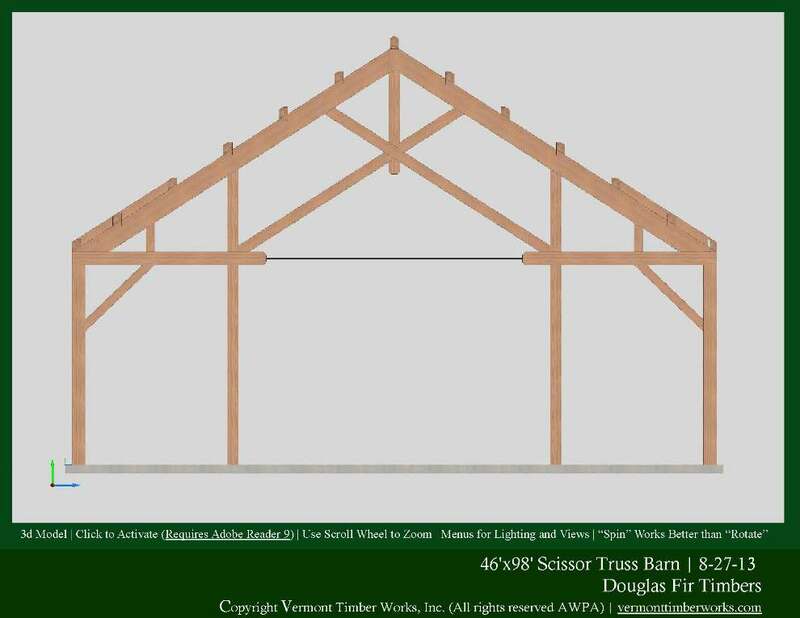 This is a modified scissor truss with a steel tie rod designed to be used in 48’x98′ barn frame. This is a complex bent for a gambrel barn frame that utilizes steel tie rods to resolve tension loads while allowing for an open truss design. 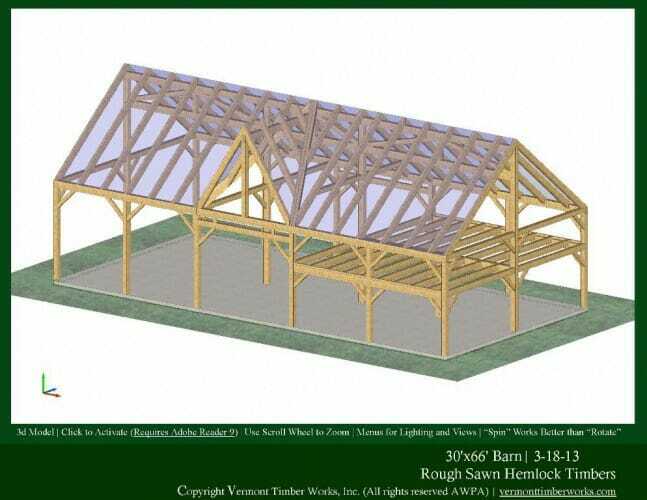 This barn is designed to be built with rough sawn hemlock timber and traditional joinery. This barn is designed with a unique look and two sheds with mixed oak timbers. 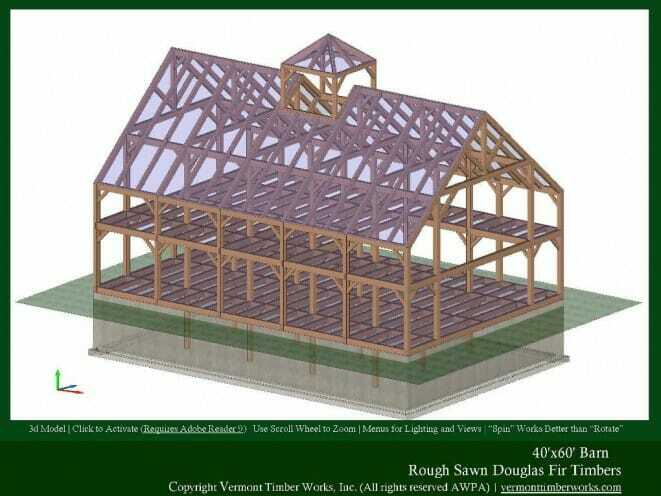 This grand barn was designed to be used for events. 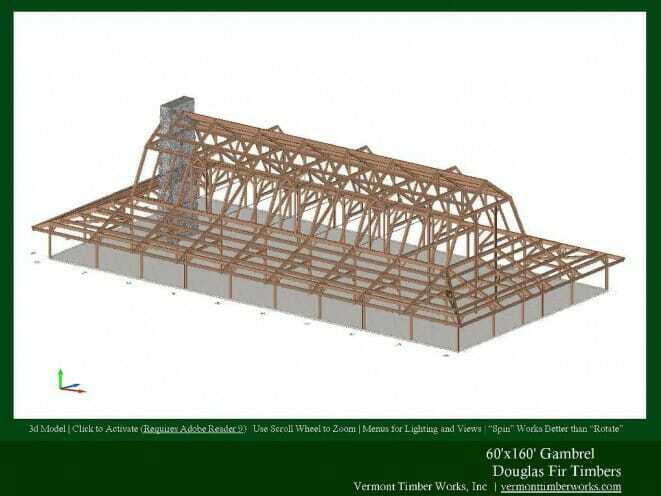 It is sized at 80’x208′, features intricate joinery and truss designs, has an open concept plan, and is designed to be constructed using douglas fir timber. This is a two story cathedral truss that is designed to be constructed using douglas fir timbers.